As a homeowner, you understand the importance of taking care of your appliances because you want to get the longest lifespan out of them as possible. At this point in your life you like have an understanding as to what would happen to your car if you never changed the oil, failed to flush your fluids and ignored the pressure in your tires. Sure, things might seem fine and dandy at first, but at some point, all of that neglect will lead to quite a bit of damage to your engine. This damage is going to be very, very expensive to fix. On the other hand, if you stick to the manufacturer recommended service schedule, a lot of the problems that would arise, if you ignored the recommendations, can be avoided altogether. The same holds true for your HVAC system. 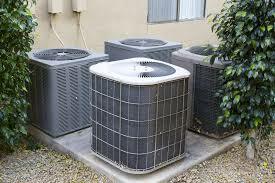 Below are just a few of the ways that regular HVAC maintenance in Commerce City, Colorado can help prevent costly repairs. Several years ago, we had a client who hired a dog sitter to spend a week at her home while she was vacationing with family. A few days into the trip she got a call from the dog sitter, who indicated there was a leak in the ceiling in the living room. Since there was a second-floor patio above the leak, and since it had rained the night before, they both assumed there was a problem with the roof. When our client returned home, she realized the HVAC system was making a very strange sound. Long story short, the “problem with the roof” was less of a roof leak issue and more of a HVAC system issue. The repair was both costly and invasive. 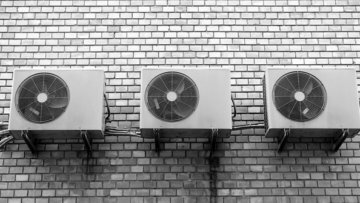 The moral of this tale is simple- if you happen to notice your HVAC system is making strange noises, this could be indicative of a larger problem. Ignoring bumps, dings, and grinding sounds will not make those sounds go away. In this case, it’s always best to contact a reputable, Commerce City HVAC technician to come investigate. For more information or to receive a free, no-cost repair estimate, contact Comfort Pros today. Fun Fact: When you schedule semi-annual maintenance for your HVAC system, up to 95 percent of repair issues can be warded off. Regular maintenance will ensure your system is running at tip-top shape. It will also help you save money on your heating and cooling bill. For more information on the benefits of scheduling regular maintenance of your HVAC system or to schedule a time for one of our technicians to come to your home to get that handled, call Comfort Pros today at 303-945-4319 to speak with a trusted HVAC customer service representative in your area. Call today to learn why we’re the most word-of-mouth-referred service provider in Commerce City, CO.